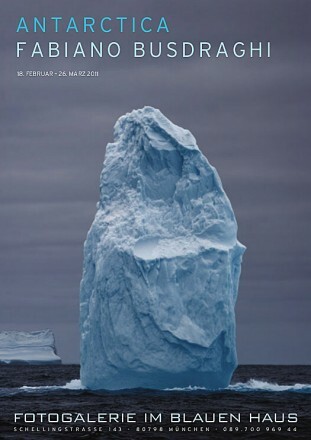 In a couple of weeks I will expose a selection of my photos from Antarctica in Fotogalerie im Blauen Haus, a gallery dedicated to photography that is located in Munich. Germany. 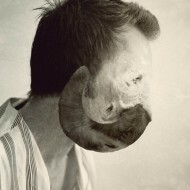 You can visit the exposition from February 18th to March 26th 2011 (Tuesday-Friday: 3pm to 7pm and Saturday 11am to 4pm). 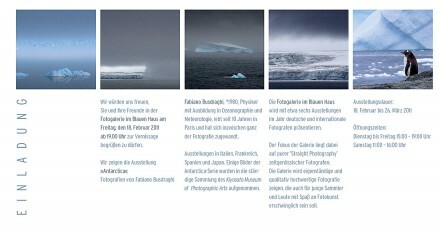 If you want to talk a bit about Antarctica heard some of the anecdotes from my trips, or just meet me, I’ll be present for the opening on February 18th 2011 starting from 7pm. I’ll expose a total of 26 photographs from my trips to Antarctica, for the biggest part they are among the most abstract and minimalistic pictures I shoot on the white continent. 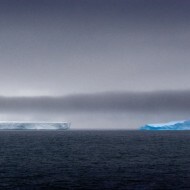 For more informations about my travel to Antarctica and this series of photographs you can have a look to the article I wrote some months ago: Physics, adventure, poetry and photography in Antarctica. I prepared a poster with several maps of my trips to help visitors locate my pictures. 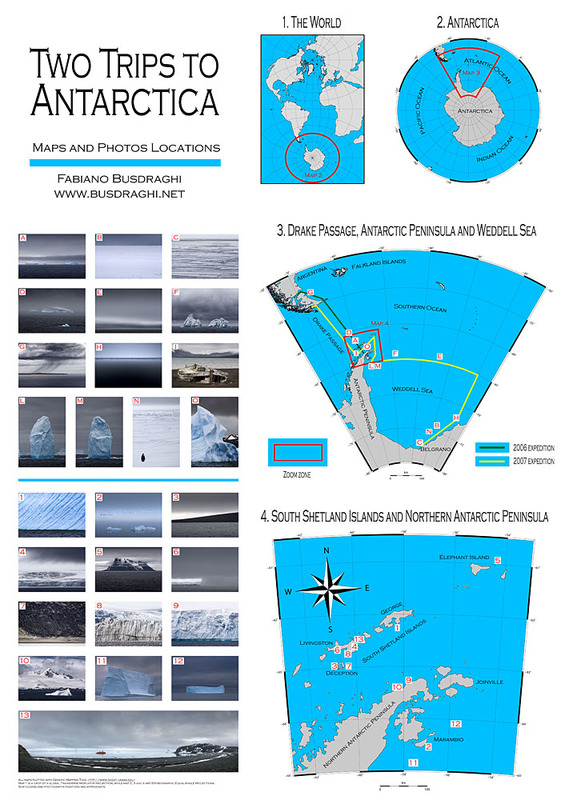 The version displayed on this page is quite small, but if you are interested you can download a bigger file (0.8Mb): Antarctic Map. Concerning the prints, I’ll expose eleven 30x45cm edition of 15, eleven small 8x12cm edition of 15, two 50x75cm edition of 9 and one panoramic 23x82cm edition of 15. All the photos have 5cm of white paper all around the image, signature and edition number is on the back lower white margin. The photos are museum archival inkjet prints on a really beautiful paper: Photo Rag Baryta by Hahnemühle. 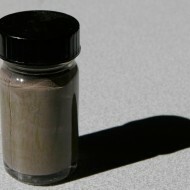 It looks like the semi-lucid fiber paper traditional baryte paper used in the darkroom (actually it really contains a layer of baryte). If you like my work in Antarctica please tell your friends about the exposition. Feel free to reuse all the images on this page. Thank you very much and hope to see you soon in Munich. et merci infiniment pour les compliment et aussi de passer l’info à votre amie, c’est très gentil ! Il y a des chances que ces photos soient exposées à Paris dans quelque temps, si c’est le cas j’écrirai un mot sur ce blog pour que tout le monde soit au courant. J’aimerai bien exposer à Toulouse aussi, mais je n’ai pas de contact pour l’instant… si par hasard vous connaissez un galeriste intéressé n’hésitez pas à lui parler de moi ! A quando una visitina in Italia? sei un grande. se mi passi sui piedi (magari mentre vai a monaco) cercami e fermati…..
un saluto anche da chiara! Félicitation, ça fait plaisir dommage de pas pouvoir être là pour manger quelques canapés devant un beau tirage :). Je me demande si le choix de l’Allemagne ne vient pas de ton goût pour leur bonne charcuterie. Je te souhaite une foule de visiteur. Congratulations, my friend! Best of luck!!! Thank you very much to all of you for the comments and nice words about the exposition!